'The Viaduct', SR poster, 1925. 'The Gateway to the Continent', SR poster, 1928. 'New & Direct Route to Weymouth', GWR poster, 1923-1947. 'Filey for the Family', LNER poster, 1923-1947. 'Through Canada', Canadian National Railways poster, c 1930s. 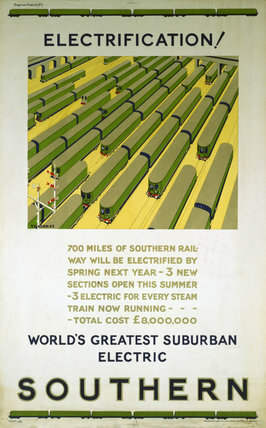 'Hastings and St Leonards', BR (SR) poster, 1959.